Locally owned and operated by Adam Smith, we are passionate about making structures more efficient with Atlanta Spray Foam Insulation. 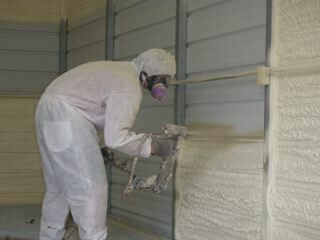 My business started spray foam insulation in 2006, after building my own personal home and having it insulated with Closed-cell Foam insulation. Because of my home being so inexpensive to operate for the size, I knew it was the only way to go! After moving in and enjoying the way the house felt we were convinced of the product to the point that I ended up starting my very own Spray Foam Insulation Company. Our home was never too hot or cold, and maintaining a steady temperature was exceptionally easy. Over the last three years we have insulated many different kinds of homes and structures. From commercial steel shop buildings to steel car port storage sheds. As well as homes where customers actually remove the roof to access the ceiling, so I may spray their attic to make it more efficient! Some of our clients even need insulation for outdoor storage tanks that need multiple steps to complete over multiple days. 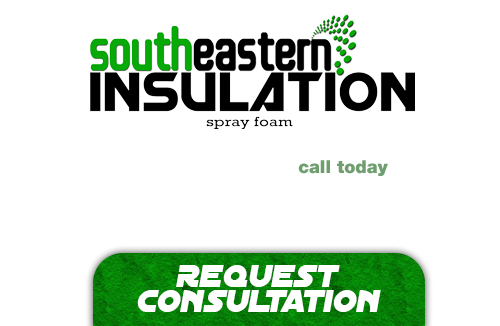 Whatever the insulation needs you have might be, Southeastern Insulation is there to provide you with top quality service and product to answer any and all of your needs. We take great pride in the work we do and are firm believers in the process and materials that we are working with, as we use them all in our own homes as well. Spray foam insulation can make an enormous difference in your lives, and help keep those cooling and heating bills lower than they ever have been before.